Read the call in Arabic here. The Resource for Open Minds (R.O.O.M.) Program in Lebanon is organizing a sound production workshop for young musicians aged 18 to 28 who want a career in music. Participants living in Lebanon with a passion for music as a form of self expression and who explore social and/or political issues critically in their work are strong candidates for this workshop. We are looking to boost the sector specifically outside the capital city and therefore only accept participants outside Beirut. The workshop will bring together eight participants for five days, November 5 to 9, 2018 in Beirut. The workshop program includes basic concepts of sound, frequency and sound synthesis. Participants will learn to record, edit and mix on Abelton and do song writing and production using midis. They will also learn how to set up a live show and produce and publish demos. Sessions on alternative ways of production and sustainability will also be organized. The workshop will take place at the Lebanese Underground Studio. Hivos R.O.O.M. will cover the cost of accommodation in Beirut and all other workshop costs. Transportation to and from Beirut will also be covered. Application deadline is October 23, 2018. Participants will be informed of the results on October 29. 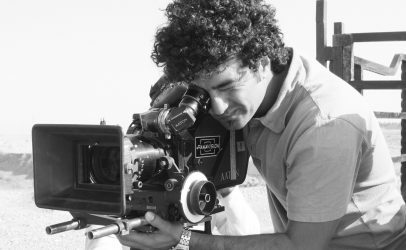 Zeid Hamdan is the musician and producer behind some of the most successful bands on the Lebanese, Middle Eastern and North & West African alternative scenes. He was named one of eight leading lights in Lebanese culture by CNN and has been routinely recognized in local, regional and international media as having driven key aspects of the Arab Electro and Arab Rock innovations since his first work in the early 1990s with the band Soap Kills (Arabic trip hop). Since that time, Zeid has worked with more than two dozen musicians from the wider region (available via www.lebaneseunderground.com). Additionally, he has organized and participated in hundreds of concerts over just the last decade, led touring acts on the road internationally and composed or co-arranged soundtracks for more than a dozen films from the Middle East and Europe. His latest achievement is a co-production musical arrangement for the new, award-winning movie by Nadine Labaki, entitled Capharnaum.